A white man accused of fatally shooting two black people at a Kentucky supermarket in October has been indicted on three hate crimes by a federal grand jury. 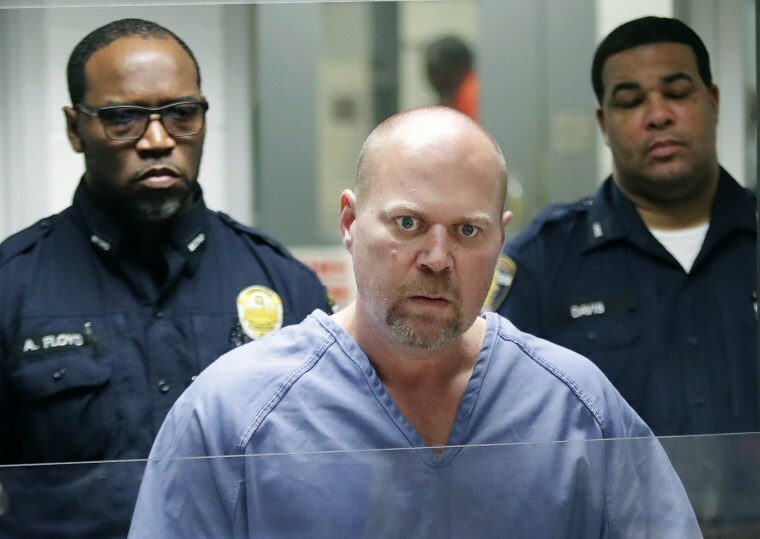 Gregory Bush, 51, is charged with shooting and killing the two victims and shooting at a third for their "race and color," according to a statement from the U.S. Attorney Russell Coleman in the Western District of Kentucky. Bush will also be charged with three additional counts of “using and discharging a firearm during and in relation to those crimes of violence," according to a copy of the indictment filed in district court. "There is no place for hate-fueled violence in our community or Commonwealth," Coleman said in a statement about the decision. "Federal, state, and local law enforcement stand united to ensure that Kentuckians can shop, worship, or attend school without the specter of fear." If convicted, Bush could face life in prison or even the death penalty should the Justice Department choose to pursue it. Bush pleaded not guilty in a county court on Nov. 2 when he was indicted on two counts of murder, one count of criminal attempted murder and two counts of wanton endangerment. He was arrested on Oct. 24 after he allegedly opened fire in a Kroger store in Jeffersontown, fatally shooting Maurice Stallard, 69, from behind and then fatally shooting Vickie Lee Jones, 67, in the parking lot, officials said. Investigators has also say that Bush had attempted — but failed — to enter a predominantly black church in the area just minutes before the supermarket attack. After the slayings, various community members and federal investigators said they had reason to believe the shooting spree could be a hate crime. Didi Martinez writes for NBC News.